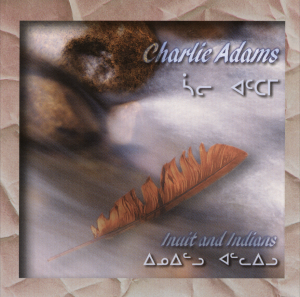 Charlie composed this 12 tracks album and brought a mixture of past and modern times. The arrangements really blend in with the lyrics which captivates you right in like a movie. When he talks about rain, you actually hear it. This album is like “hearing it, seeing it”. Charlie Adams was born in 1952 in an igloo on Christmas eve. He lived about 8 kilometers away from Inukjuak formerly known as Port Harrison where he started school. In 1965, his family moved to Povungnituk, where he completed secondary school before moving to Churchill to attend highschool. He started singing and playing guitar when he was finishing highschool in 1973. He started his first band in Povungnituk called Sikumiut (People of the ice) and started performing every Friday night. In 1976, he moved back to Inukjuak and started a new band there. At that moment he started writing songs about traditional Inuit way of life, Inuit history, Inuit legends and stories and today’s Inuit way of life. 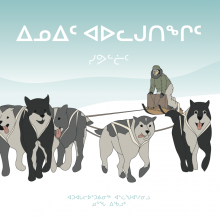 This was a way for him to promote the importance of Inuit culture to the younger generation. Since then, he has performed across North America and Europe. He was also invited for a special meeting and performance for Queen Juliana of Holland. Charlie passed away in 2008. He was married and had five children.